Whether you are a home owner, or involved with residential or commercial property on a larger scale, we can help you to safeguard your property interests. We recognise that not all cases are the same and in the first instance we welcome you to contact us where we will be happy to discuss your specific situation and provide initial telephone advice. It is often helpful to visit your property to see the situation first hand. This is also a great opportunity to discuss your case in person. For straightforward cases, we also offer a preliminary desktop review service where we can apply rule of thumb tests. If the nearby development is still going through the planning process, we will let you know whether you have valid grounds to challenge the planning application. 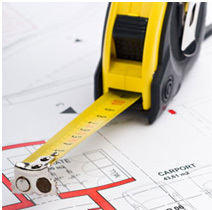 We will appraise your case with reference to the standard Building Research Establishment (BRE) planning tests. Even if the development has planning permission, you may be able to limit its size or receive compensation if your property benefits from a legal right of light. This will usually be the case if your window apertures are over 20 years old. Please note that it is the age of the structural opening that matters. If the glazing and window frames are less than 20 years old this will not affect the strength of your case.